“That’s it, you’ve got the hang of it. 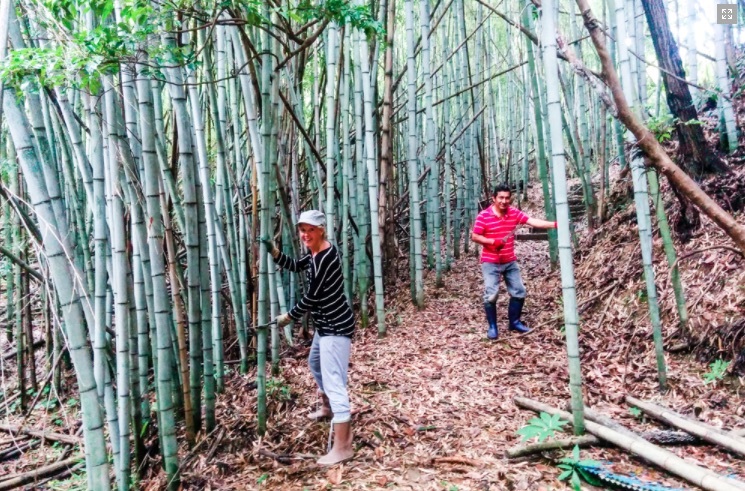 You’ll make a good farmer,” says Zenichi Seto. He watches from the side of the rice paddy as I operate the push tractor for the first time. 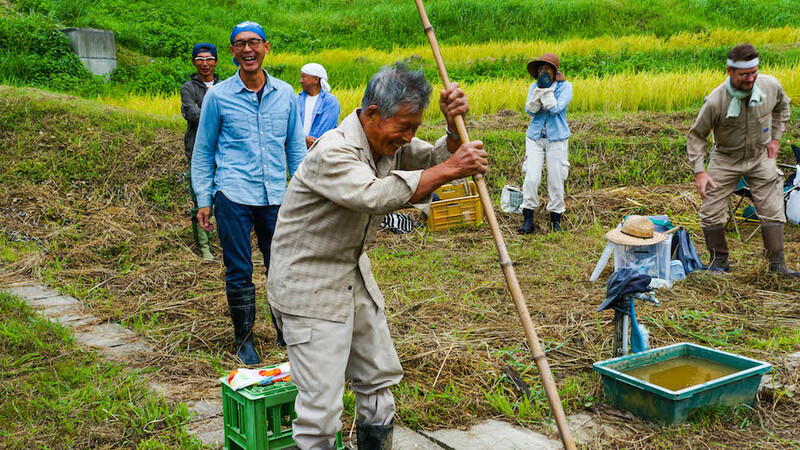 Zenichi is an octogenarian farmer here in rural Japan. Though Japan is one of the most advanced economies in the world, Zenichi was born 86 years ago into a sustainable, zero-waste society where even electricity was a rare luxury. Even today, I have sensed and experienced echoes of that society in many rural farming communities and the people who live there. On this sunny day in late spring, roughly four years after I moved to the area, Zenichi is giving me guidance as I try my hand at growing rice in my own paddy for the first time. Growing rice is actually the last thing I intended to do when I first moved into this community, not least because I don’t even eat that much rice. Though I have since graduated from managing my own paddy and gone back to working with a group, the experience of cultivating my own staple crop proved essential to understanding the true meaning of freedom. Freedom is always, and paradoxically, dependent on those around us. I arrived in Japan roughly 30 years ago, deployed by the US Navy to the 7th Fleet Navy Band stationed in the port town of Yokosuka about 90 minutes south of Tokyo. Later, after returning to civilian life and failing to build a career as a professional musician during the collapse of Japan’s economic bubble in the early 90s, I began working in the tech industry. However, like many of my generation, I found 9/11 to be the catalyst that forced me to gradually take a closer look at the world and my own lifestyle, and to question many things that I had taken for granted. Toward the end of my tech career, I realized I could no longer continue down the same path. For the first time, in my late 30s, I began to wonder how I might be able to start giving something back to someone other than my employer. Japan, my adopted home, represents a unique mix of old and new. To my knowledge, it is the only fully advanced economy where echoes of pre-industrial, sustainable communities and ancient belief systems exist side by side with the almost universal availability of gigabit fiber internet and same-day delivery online shopping. In fact, it is those ancient systems and beliefs that still form the bedrock of Japanese culture, hidden from the casual tourist behind the façade of fantastical cityscapes and eclectic pop culture. However, Japan is also a land of constant transformation. The rural farming communities that have long preserved that ancient culture are rapidly dying off. Due to numerous factors, there was an unfortunate shift in attitude in rural Japan during the country’s rapid economic expansion following WWII. The once proud farmers, formerly considered next in status after the Samurai warrior class, began to grow self-conscious of their way of life compared to the big cities and the high paying jobs there, and they strongly encouraged their children to move away and join the new Japanese urban society. This launched an exodus that unfortunately continues to this day. One interesting outcome, however, is that a considerable percentage of the populations of the major urban centers such as Tokyo were farmers just one or two generations ago, hailing from conservative rural communities largely unchanged for generations until quite recently, and this likely still influences their values and behavior. The Japanese themselves recognize this influence, and sometimes call it the “mura-shakai”, or “village society” mentality. Though often used in a somewhat negative sense to denote insularity, it also describes a culture based on communalism, in which everyone has a place and the support of the community, provided they also contribute and pull their own weight. As someone born in a rural New England community, I found that the plight of rural Japan struck closer to heart when I began looking for something to do other than self-enrichment. At first I tried thinking of various projects that might benefit rural Japan that I could do from my comfortable Tokyo share house. It quickly became apparent, however, that I was not going to be taken seriously unless I knew what I was talking about. And, the rural communities themselves are famous for their stubbornness and suspicion of outsiders, and thus very unlikely to receptive to advice from someone who doesn’t fully understand and share their way of life. 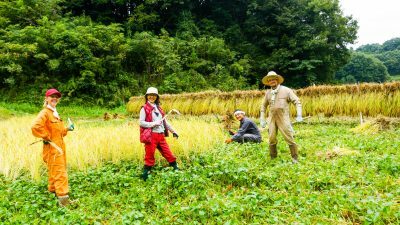 Luckily, there are rural communities in Japan that have started opening up, thanks to the hard work of pioneer transplants over the past several decades. These early adopters of the reverse migration trend overcame considerable distrust and occasional active resistance from local landowners to eventually become respected members of their communities, teaching those locals that outsiders can sometimes be trusted, and opening the way for subsequent generations of transplants. There are even rural communities in which foreign immigration is becoming a growing possibility. With this realization, and building financial pressure, I began looking for a rural community to call home. My criteria were proximity to Tokyo, so I could still visit for a day trip, and an active transplant community to help give me a soft landing. After several years of visiting nascent alternative communities, attending ecovillage symposiums, and meeting new friends, circumstances conspired to put me in charge of leading a tour through Kamogawa, approximately two hours from Tokyo on the Pacific Ocean side of the Chiba peninsula. The tour proved a great success, with the help of new local friends, and it provided me with an intimate introduction to what would become my new hometown. Kamogawa occupies a valley stretching West to East from the center of the peninsula to the Pacific coast. 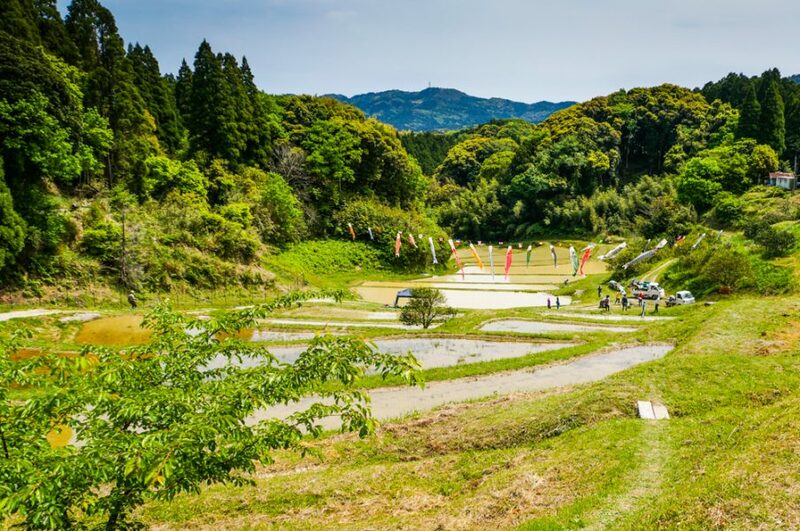 The Kamogawa river flows through it, providing rich clay soil ideal for rice production. It was once divided into several smaller towns, one of which was Oyama, situated at the exact center between the East and West coasts. 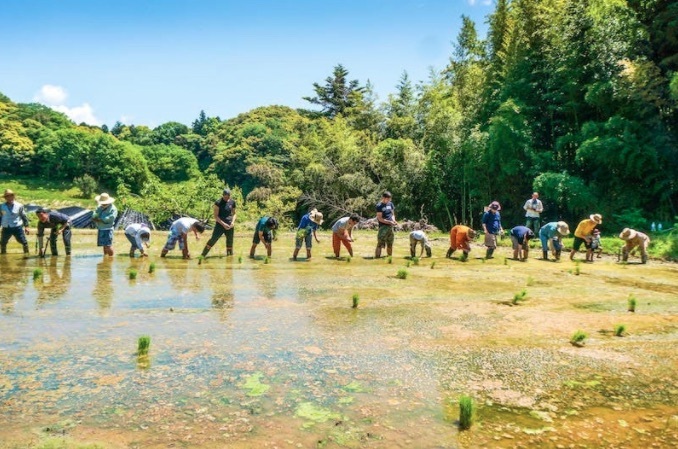 Oyama is home to a traditional rice farming culture that dates as far back as the eighth century, when the local Shinto shrine is said to have first been established. Throughout the twentieth century, industrial development in the region was concentrated along the coast of Tokyo bay and the more accessible areas of the Kanto plains, leaving the interior of the Chiba peninsula relatively untouched. Since the Oyama district could only be accessed by the narrow local roads that wind through the surrounding low mountains, it remained particularly insular until some key transplants moved here approximately 30 years ago to start the process of opening the community to outsiders described above. One of those was Toshio Fujimoto (deceased), a pioneer in Japan’s organic food movement. 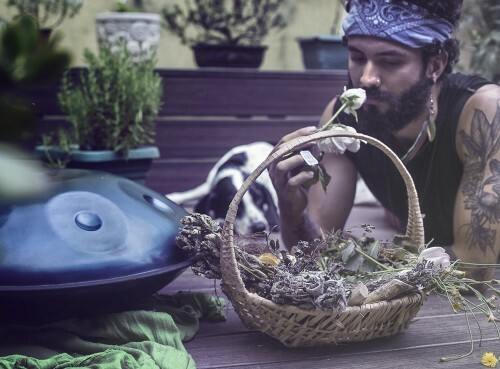 The organic farm Toshio established here attracted a stream of young people seeking an alternative lifestyle, many of whom stayed to form the core of the vibrant transplant community that exists today. It was into this community that I arrived in 2009 as the first non-Japanese member. On the one hand, the transplant community is full of young like-minded families spread throughout the region who care about the food they eat and value time and freedom over money, supporting each other through a local currency system and email network. Meanwhile, the local farming community of older people born and raised in the area has proved to be a rich source of knowledge and history, and due to their lack of any specific ideology, it came as somewhat of a surprise that they can be even easier to get along with than some of my fellow transplants. Another advantage in getting along with the local farmers has been, again surprisingly, the very fact that I am a foreigner, or the most outside of outsiders. Whereas Japanese transplants are expected to have a certain understanding of unspoken expectations and mores, causing all manner of misunderstandings and problems when they don’t, foreign transplants are not met with such expectations but rather with a strong sense of curiosity. This means that when foreign transplants make any effort to fit in or help out, it is met with greater gratitude, and when mistakes are made, they are more readily forgiven. Thus the efforts of earlier waves of Japanese transplants to integrate, combined with this compatibility with foreign immigrants, made it much easier to integrate into the community than I ever expected. On the other hand, and partially due to the Japanese habit of conforming when possible, there seemed to be a process of assimilation in which the young Japanese transplant families behaved more and more like the conservative local families, losing some freedom of spirit in the process. This overcompensation on the part of the Japanese transplants meant that the community was still having trouble overcoming the real challenges of the population decline caused by the exodus of youth, a declining birthrate, and population aging, because once transplants took a position within the traditional community hierarchy, they lost the ability to assist in solving those problems by providing valuable insight as outsiders. In response to this, I have brought as many of my foreign friends into the area as possible—first as visitors, and later, to my complete surprise, as immigrants. The first of these was my good friend Chris “Akiba” Wang, a freelance electronics engineer and longtime Tokyo resident. His decision to move into the area and set up a workshop and lab soon after the Great East Japan Earthquake opened the floodgates to other refugees from Japan’s tech and arts industry seeking a better life. This flow of people became the Hackerfarm, one of the ecovillages recently registered with NuMundo in Japan. 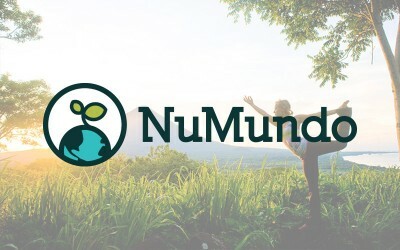 The Hackerfarm is perhaps unique among the various NuMundo ecovillages in that it is primarily comprised of technical people and artists with an interest in applying technology in a beneficial and sustainable manner at a small scale—rather than abandoning it entirely for a simpler lifestyle. Cutting bamboo for raised beds behind Hackerfarm. The idea for the Hackerfarm comes from the hackerspace movement which started in Germany in the ‘90s and has since spread throughout the world. Designed as spaces for the sharing of tools and ideas, hackerspaces embody the concepts of openness and sharing in technology, and often encompass a political tendency towards decentralization and freedom. As a founding member of the Tokyo Hackerspace in 2008, I was already well aware of the concept when I chose to move to the countryside, and I recall suggesting the idea that such a space might be easier to finance in the countryside as opposed to Tokyo with its extremely high rent, but at the time, most of the members saw the countryside as someplace to go camping rather than a place to live and build a community. That changed with the Great East Japan Earthquake of March 11, 2011. Many of the members of Tokyo Hackerspace responded to the disaster by applying their technical skills and knowledge to social causes, such as the foundation of Safecast for independent environmental data collection, particularly radiation monitoring. A secondary outcome was that, often for the first time, many of the technically incline members began taking a stronger interest in food and food production. This culminated with Akiba’s suggestion to establish the Hackerfarm as a place to apply affordable and accessible open source hardware and software to small scale agriculture. Today, the Hackerfarm community, an ad-hoc collection of foreign and Japanese members from various technical and creative backgrounds, has reached over a dozen permanent resident members and many more frequent visitors. In addition to hosting local events and workshops and assisting the many other hubs of activity in the greater Kamogawa area, such as two permaculture groups and the greater Japanese transplant community, the Hackerfarm also runs a Hackerfarm Meetup outreach program in Tokyo to attract more visitors through the discussion of sustainable technology in agriculture. 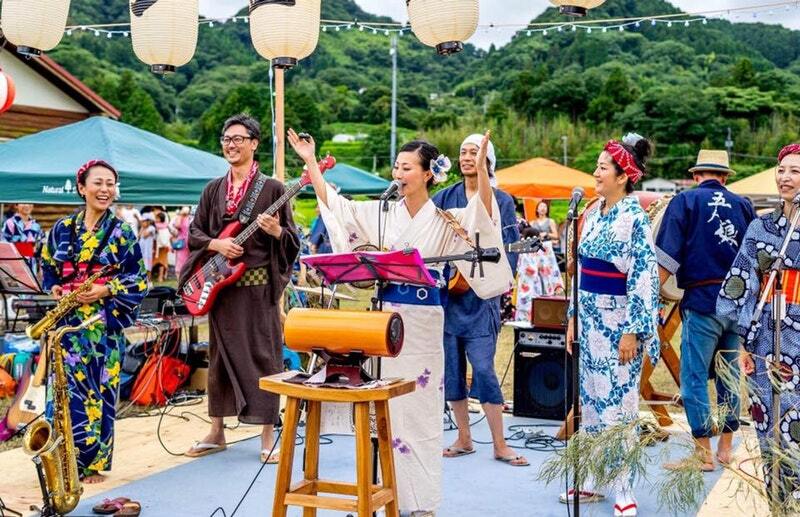 My dream for the Hackerfarm is that our presence here in Kamogawa will provide precisely the kind of diversity necessary to empower this rural Japanese community, and its treasure-trove of traditional knowledge and culture, to survive into the future. I also aspire to provide an example of a lifestyle that embraces both old and new in a sustainable, human-centric way. I encourage any interested reader to reach out to us here at Hackerfarm and visit Japan to experience this shifting culture for yourself.